Great seasonal lease in Indian Ridge Country Club! Enjoy stunning fairway, mountain and lake views from this south facing back patio. 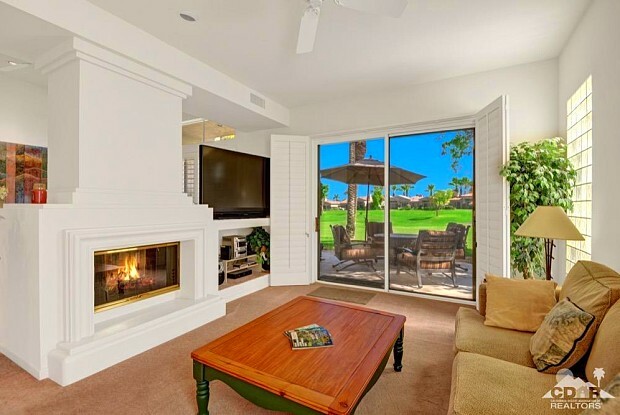 Soak up the warm winter sun from your elevated patio while watching the golfers on the 7th Green of the Grove course. 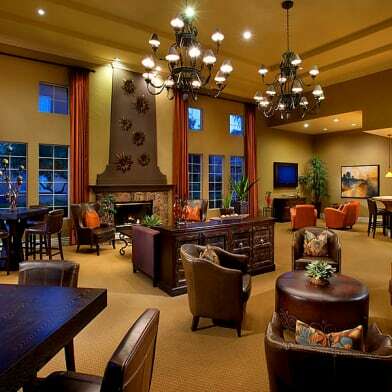 Great room floor plan w/dual fireplace between the living room & family room. Light & bright kitchen w/sit down breakfast bar opens to the family room creating a perfect place for family and friends to gather. Elegant step up dining room w/floor to ceiling mirrors. Interior includes custom wood shutters, ceiling fans, lots of lighting, neutral paint tones and tasteful furnishings throughout. Beautiful and quiet master suite located off the private front entry courtyard with beautifully tiled master & guest baths. Walking distance to three community pools. 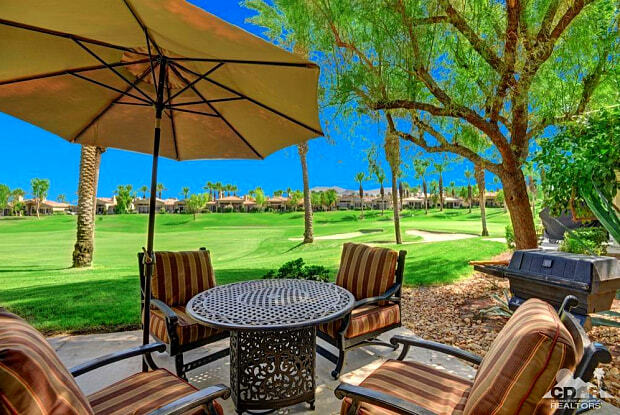 Indian Ridge is one of the desert's premier private country club communities with a great central location in the Palm Springs area, close to Interstate 10 and the airport. Have a question for 685 Box Canyon Trail?